A childhood classic with zero guilt. Remember the days of grocery shopping with your mom, eyeing your favorite sugary cereal, and hoping today would be the day she’d finally let you put it in the cart? Well, mom may never have wavered but you’re all grown up now and there’s a better way to indulge your sweet tooth. 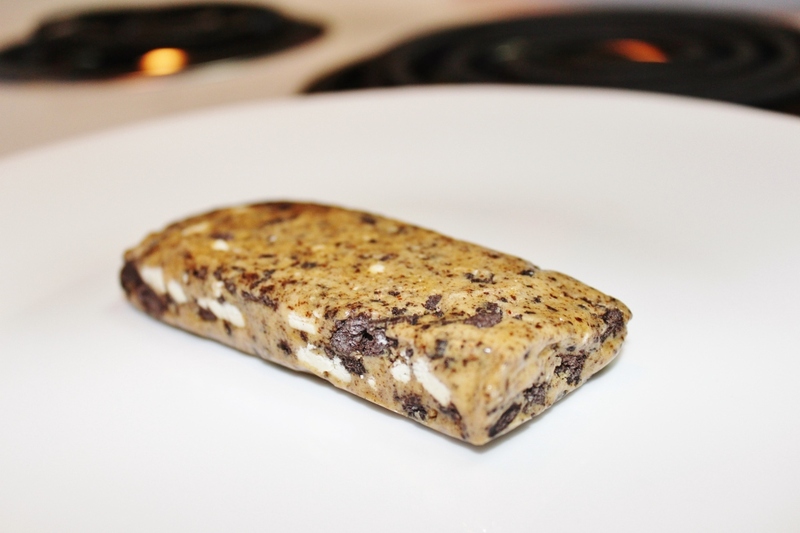 Quest bars are the hot new protein bar created by Shannon Penna in 2010. They boast great macros (if you’re in to that), loads of protein, they have no sugar or gluten, and they taste great – not like the cardboard flavor of many protein bars. Quest bar lovers have gotten really creative with recipes utilizing the bars in all sorts of ways. 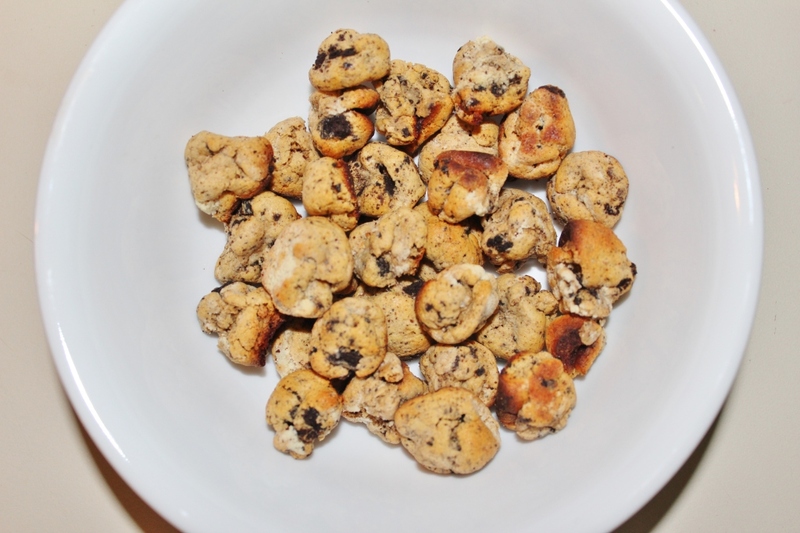 I’m going to share with you my favorite Quest creation, the super easy Quest bar cookie crisp. 2. 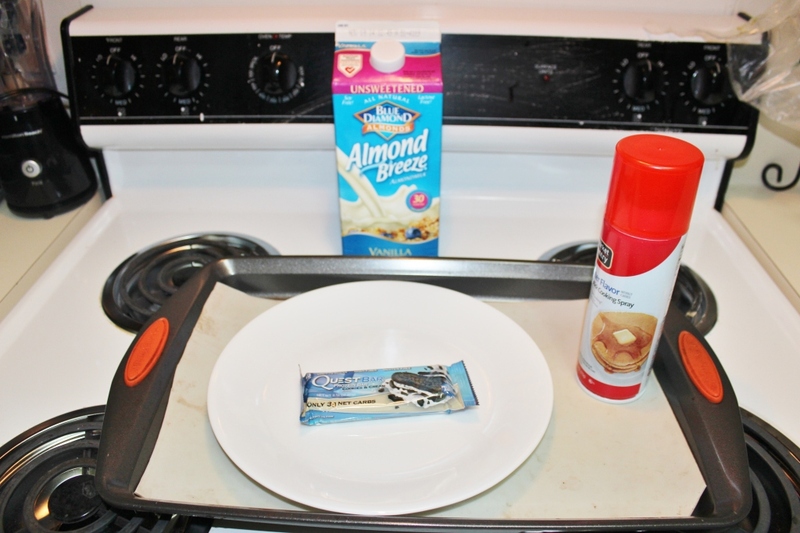 Heat your cookies and cream Quest bar in the microwave for 10-15 seconds to soften. 3. 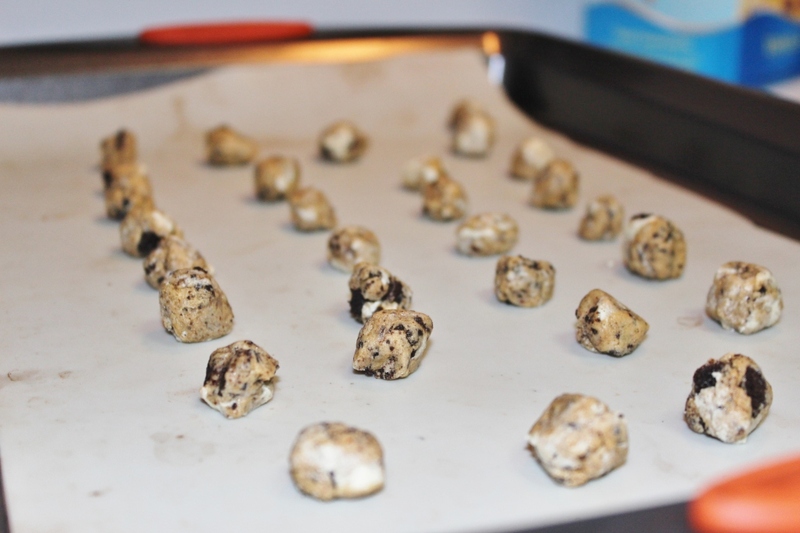 Roll up the bar into small (1/2 inch approximately) pieces and coat with cooking spray. 4. Bake for four minutes. 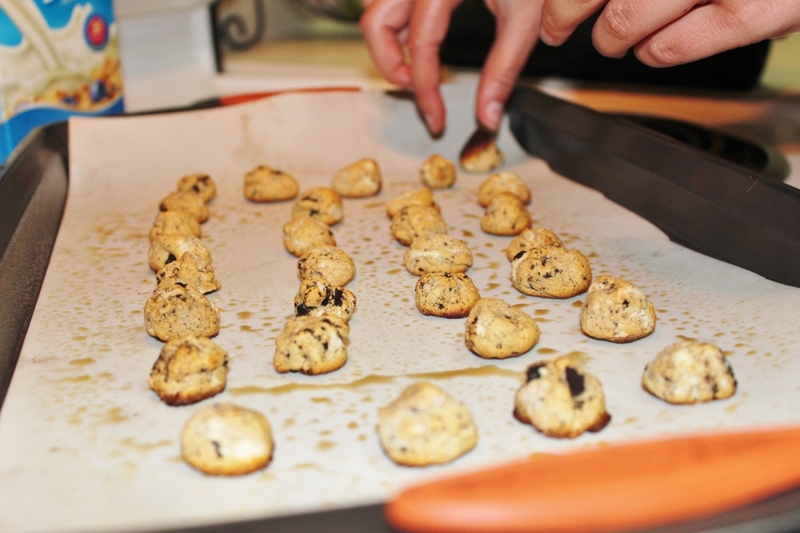 Take out of the oven and reform into small balls. 5. Bake for four more minutes or until golden brown. 6. Let cool until ready to eat. 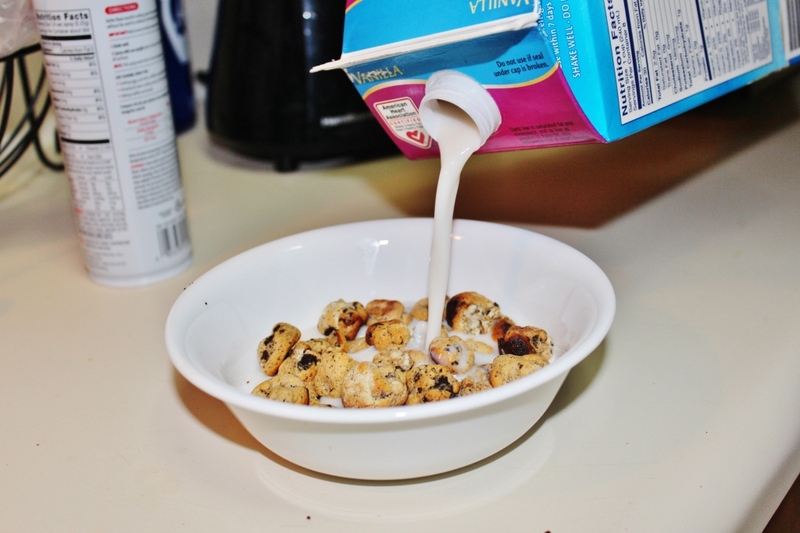 Top with your desired milk.